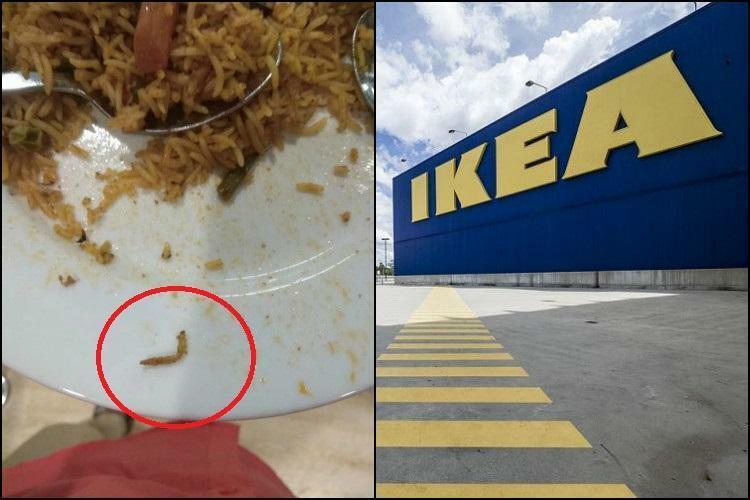 In an embarrassment for the recently opened IKEA store here, a man allegedly found a worm in the vegetable biryani served to him, prompting the Greater Hyderabad Municipal Corporation (GHMC) to issue a notice to the firm, an official said Sunday. The civic body also imposed a fine of Rs 11,500 on the IKEA store, opened last month marking the Swedish home furnishing major’s entry into the country, for allegedly flouting norms related to dry and wet waste segregation and use of plastic covers, the official said. Apologising over the “unfortunate experience”, IKEA said it is investigating the matter and will take corrective action. The GMHC issued the notice after a customer alleged on social media that he found a caterpillar in the vegetable biriyani he ate at the store’s restaurant on August 31. Food safety and health officials visited the IKEA store and collected food samples Saturday. “IKEA representatives said they did not prepare the food in their kitchen and were procuring semi-cooked and frozen food from a Nagpur-based snack manufacturer,” the official said. Notices were issued to IKEA and the snack firm, seeking details on the food prepared and ingredients used within seven days, the GHMC official told PTI. The authorities also imposed a fine of Rs 11,500 on the IKEA store for using plastic covers less than 50 microns thick and for not practising waste segregation. It said IKEA has “strictest” guidelines when it comes to food safety and quality as customer health and safety are something “we care about deeply”. In a tweet, the customer had also tagged Telangana Minister for Municipal Administration and Urban Development K T Rama Rao, son of Chief Minister K Chandrasekhar Rao. IKEA had last month launched its first Indian outlet here which also has a 1,000-seater restaurant.